Aluminum tuning forks for physics experiments. 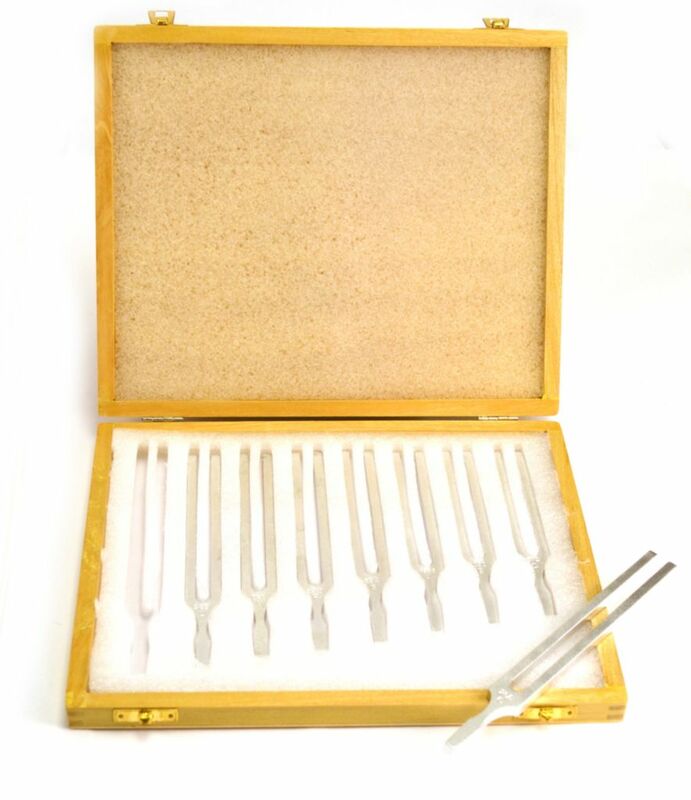 These aluminum tuning forks are designed for physics experiments and are tuned to scientific pitch, C4=256 Hz. The following frequencies are included: C 256 Hz - 7 1/8, D 288 Hz - 6 3/4, E 320 Hz - 6 5/8, F 341.3 Hz - 6 1/2, G 384 Hz - 6 3/16, A 425.6 Hz - 5 15/16, B 480 Hz - 5 11/16, C 512 Hz - 5 9/16.